Cranberry recipes for breakfast, lunch and dinner; there is more to cranberries than just traditional sauce. 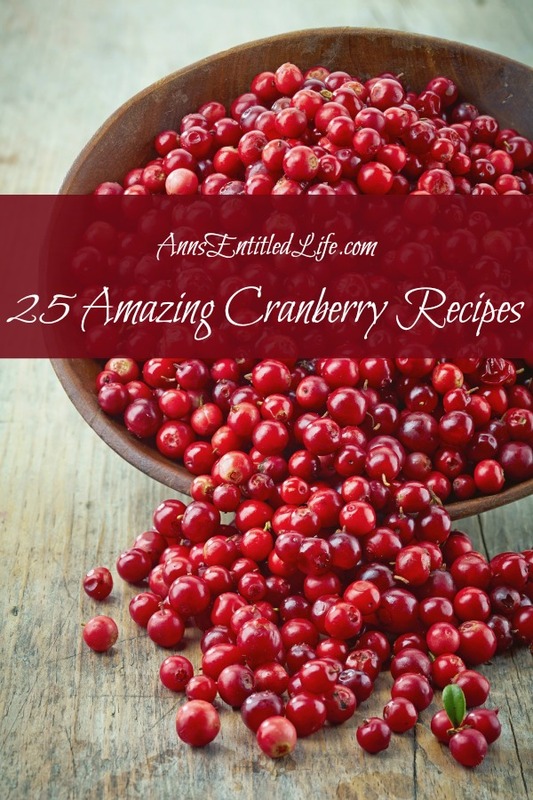 Try one of these 25 Amazing Cranberry Recipes this holiday season! 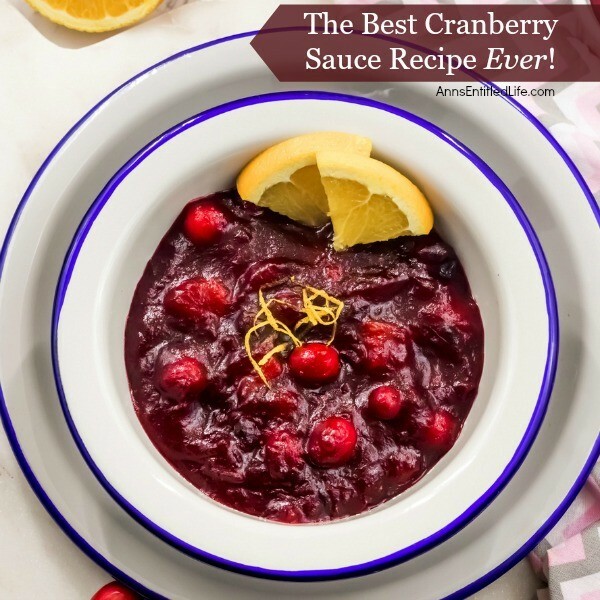 • The Best Cranberry Sauce Recipe – ever! This super easy to make fresh cranberry sauce is simply delicious. If you ever thought that making your own cranberry sauce was difficult, disabuse yourself of that notion as nothing could be further from the truth. I was shocked at not only how easy cranberry sauce is to make, but how much better it tastes than pre-made or canned cranberry sauce. 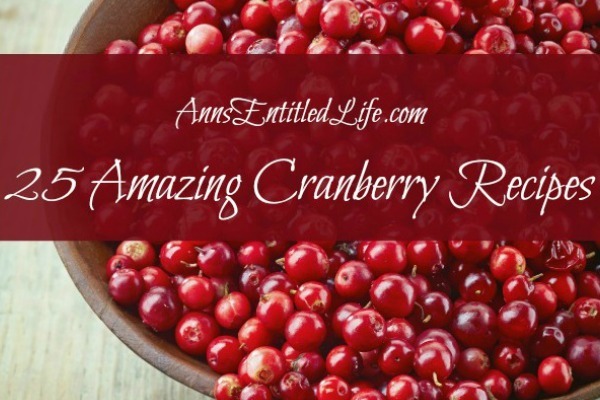 If you are looking for an easy, delicious cranberry recipe, this is it! • Cranberry Bliss Cocktail – The Cranberry Bliss Cocktail is the perfect drink to serve at your holiday parties and get-togethers. Enjoy the sweet-tart taste of cranberry this holiday season with this delicious holiday beverage. • Cranberry Noels Cookie Recipe – Slightly chewy, slightly crunchy and totally delicious, these Cranberry Noels Cookies are a wonderful holiday cookie, perfect for a snack, after dinner dessert or as a welcome addition to a holiday cookie tray. • Cranberry Orange Cupcakes with Peppermint Frosting – Jazz up a plain boxed cake mix for a festive holiday treat! These easy to make cupcakes and simple peppermint frosting recipe will make people think you slaved all day in the kitchen, instead of just minutes. These fun and delicious Cranberry Orange Cupcakes with Peppermint Frosting are a wonderful holiday dessert. 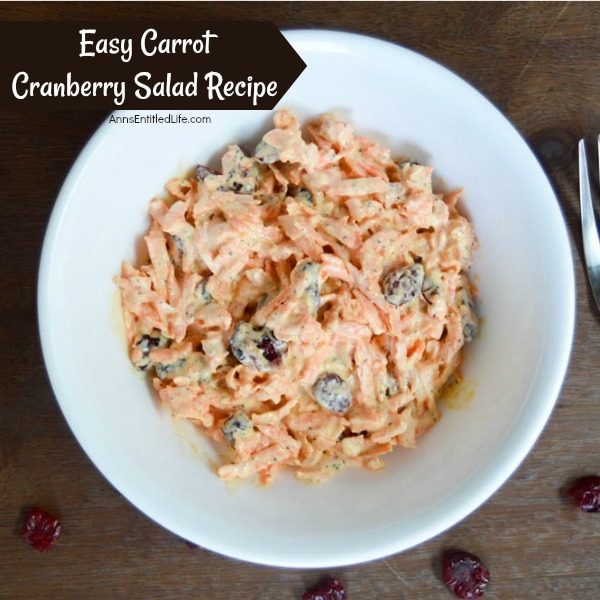 • Easy Carrot Cranberry Salad Recipe – This is one of the easiest holiday salads you can make! 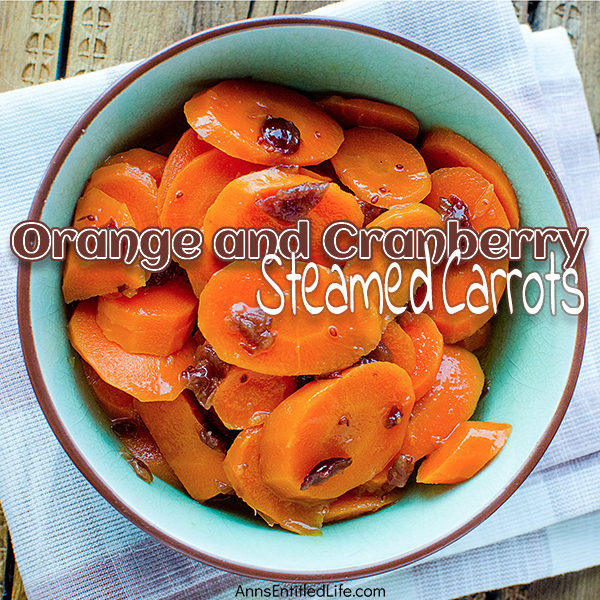 When you are looking for a simple to make side dish to serve, give this wonderful Easy Carrot Cranberry Salad Recipe a try! • Mini Cranberry Orange Cake Recipe – This festive holiday dessert recipe is so easy to make! Only you will know the base is a boxed cake mix; your friends and family will marvel at your creativity while devouring these delicious Mini Cranberry Orange Cakes. • No-Bake Cranberry Cheesecake Parfait Recipe – A delicious, no muss, no fuss cheesecake parfait the whole family will enjoy. Special occasions, holidays or after dinner dessert, this No-Bake Cranberry Cheesecake Parfait is sure to hit the spot when you are craving an easy to make sweet.